We believe in a great company culture that provides our employees with all the support they need to succeed. Because we understand that we can’t continue to succeed unless our people love their jobs - day in, day out. It is a really exciting time to join our growing company! We got our start in 1977. Since 2016 we have been a part of the S&P 500 and lead the self-storage industry in more ways than one. We are a leader in our industry and in order to maintain this lead, we need exceptionally motivated, capable, and driven people like you. 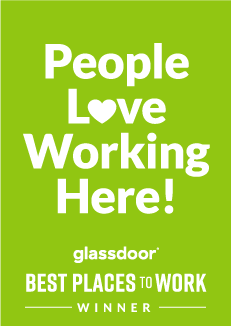 Come join us and find out why Extra Space was recognized by Glassdoor as one of the top 100 places to work in 2018. The Staff Accountant serves a critical role on the Accounting team. If you are dedicated with a positive attitude we invite you to come join our team. Employment is contingent on successful completion of a background and drug screening. Note: If you have experience working in any of the following areas, we encourage you to apply: general ledger accounting or real estate accounting.